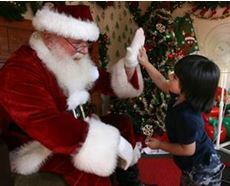 Celebrate the holiday season in Temecula this weekend as Santa Claus makes his first arrival by horse-drawn carriage on Main Street in Old Town Temecula. Perfect for the family, residents of the new homes in Menifee at Audie Murphy Ranch can travel to the nearby city and get their photo taken with Santa and enjoy songs from carolers in the evening. The event is free to attend and will take place from 10 a.m. to 6 p.m. Friday through Sunday. For further details, visit eventstemecula.com.